After Thanksgiving Diana and I got a bug to do some rearranging. 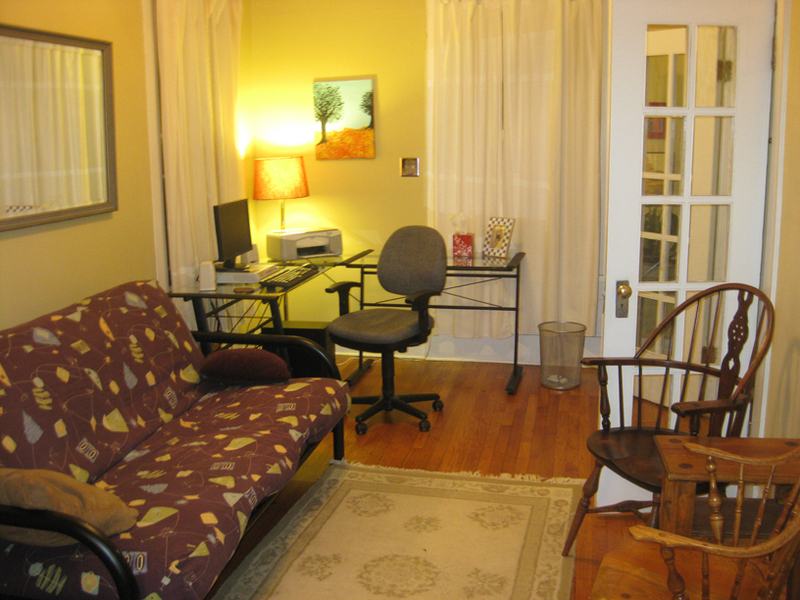 I was thinking one day why would I keep the office in the small pantry when we have a room that we don’t really use all that often. 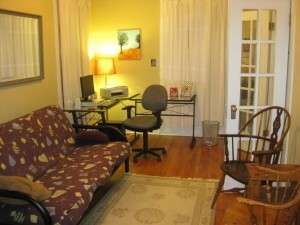 Well it turns out that we could keep almost everything in the small room that was in there AND move the office into it. Perfect. We will be able to reclaim the whole 5′ by 5′ pantry for things like canned goods, cleaning supplies, grilling equipment, tools, and maybe even a coat rack. I had to military crawl under the house again. Despite all the dust it really wasn’t that bad. There were no rats, animals, or anything disgusting. Only a few spider webs. We are now finalizing the new office and looking for a good layout for the pantry to accomplish everything I mentioned before. We welcome some input! 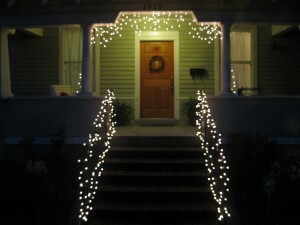 During the holiday Diana took the lead in getting the Christmas lights down and putting them up on the front of our house. 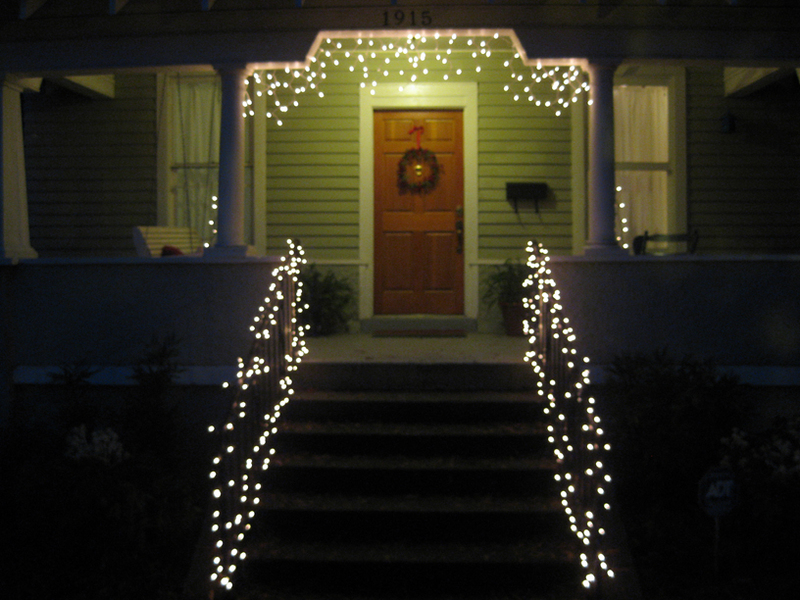 It’s the first time we’ve decorated our exterior for Christmas. We have yet to pick out a Christmas tree, but maybe we can do that this week when we have an easy meal to cook. We’re changing where we put the tree from the front right window (where the new office is) to a corner in the dining room. While I’m sad that it won’t be visible from the outside of the front of the house, it will still be visible from Barksdale. 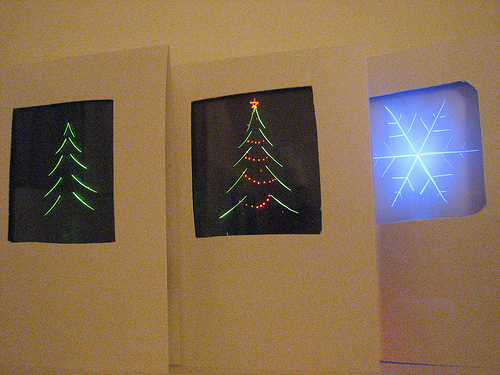 I saw this very interesting project where you can make your very own edge lit holiday cards. It’s a great project to do for xmas. See the article below. Evil Mad Scientist Laboratories – Edge-Lit Holiday Cards. The holidays are here again and it’s about time I figure out the meaning of them. It was always hard for me to come up with suggestions for christmas. Now I’m more than happy to receive clothes or anything home made which is a complete 180 from when I was a child. As a child, I always wanted the latest and greatest toys. Optimus Prime, Domino Rally, electric race car set, etc. At this age when I received the most consistent present of wool socks, I would be disappointed. Now I’m ecstatic to receive anything warm (since I almost never buy myself clothes if I can help it). I also figured out that people are excited when you offer to make them something for the holidays. This year we’re offering a selection of bread, chocolate pecan pie, vanilla extract, or chicken enchiladas. Well, now that I’ve given away all my secrets, do you have a favorite thing you make for gifts for the holidays?